Lance Ryskamp is a Founding Board member, past Vice President and current President of the Highland Community Foundation. Born and raised in Highland, he is a 1979 graduate of Highland High School, as well as a 1983 and 1986 graduate of Valparaiso University and Valparaiso University School of Law. Besides his years of work on the Highland Community Foundation, he also served the Town of Highland in various capacities, including as a past Highland Town Councilman, past Lake County Councilman and currently, as the Highland Redevelopment Commission Assistant. He and his wife, Sue, have three step-children, each of whom is a Highland High School graduate. 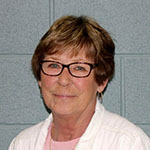 Judy Vaughn has been a resident of Highland since 1963, is married with 3 adult children, and is employed by the Town of Highland, Public Works Dept. and Highland Police Dept. for a combined 39 years of service to the Community. She is currently a member of the Highland Community Foundation Board and serves as Vice President; a member of the Highland Elks Lodge #981; and is honored to have receive the Best of Highland Civil Servant Award presented by the Highland Chamber of Commerce in 2014. In 2007-08 Judy served on the Highland Leadership Council. She was a member of the Council of Community Events for 25 years and served as President. During that time, she spearheaded the first fireworks display for New Year’s Eve at Main Square. Jusy was also a member and served as President of the Highland Indiana Region Model A Club. Julie Larson has lived in Highland for 18 years and serves as the current secretary for Highland Community Foundation. She is committed to bringing the arts and literary education to the community. 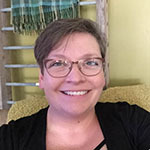 Julie also serves on the Highland Main Street Committee Board of Directors, helping to bring attention to the downtown corridor with art installations and community festivals. She is married with two beautiful children, both who have attended Highland schools. Julie obtained her B.A in English Literature and education certification from Purdue Northwest, and is currently pursuing her M.A. in English while working as an ELL Paraprofessional at Highland Middle School. 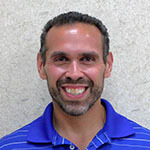 Abe Rivera is a life long resident of Lake County, Indiana and has been a Highland resident since 2003 with his wife and five children. 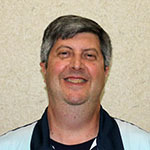 He has been very active in the community and his involvement includes being a Board Member of Highland Parks & Recreation, the Highland Rotary Club, volunteering for Highland H.S. Cross Country and Track teams, volunteer coaching for Highland Little League, and the Highland Wrestling Club. Abe has been a member of the Highland Community Foundation since November of 2014 and he hopes to continue to contribute and add value to the community of the Town of Highland for years to come. Cheryl Nicksic has lived in Highland since 1974. She has a passion for the town and has raised 2 children here and now has 5 grandchildren. Cheryl works in sales and marketing and those led her to form an interest in Highland Community Foundation and then a desire to join the board. She enjoys walking around town and visiting with friends. Cheryl plans to continue her work with HCF to improve Highland and it’s beautification. 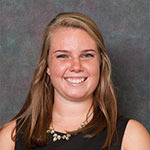 Chelsey Bradford is a Storm Water Engineer for the Porter County Department of Development and Stormwater Management. She currently lives in Winfield, Indiana. Prior to moving to Winfield, Chelsey lived in Highland for 2 years. A few things stuck out to Chelsey about Highland during her short time living here. First, the citizens of Highland are extremely welcoming and have created a great sense of community. Second, there are a lot of community events that everyone can attend and become involved with. These aspects inspired her to join the Community Foundation to continuously improve the quality of Highland through cultural, educational, social, and economic contributions and events as well as continue the legacy that the Highland community has established. Robert Plantz is a current Highland resident and Attorney admitted to practice in the year 2000. He is the President and CEO of the law firm Robert A. Plantz & Associates which is located in Merrillville. Married to Vanessa Plantz with a son Alexzander who attends Our Lady of Grace School in Highland, he has been involved in Youth Soccer and Basketball in Highland for more than 15 years. 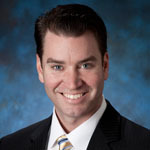 Robert graduated in 1996 from Purdue University (West Lafayette) and graduated from Valparaiso Law School in 1999. He is President and a Board Member of the Our Lady of Grace Advisory Board as well as active in the Lake County Bar Association, IN Bar Association, American Bar Association, Association of Trial Lawyers of America, and the Calumet Inns of Court. Robert has also been admitted to practice law in the Indiana Supreme Court and Federal Courts of the Northern and Southern Districts of Indiana. Michelle Anderson grew up in Highland and is now raising her children in the community. She has two daughters who currently participate in sports and marching band at Highland High School. 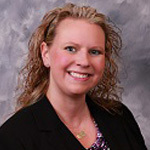 Michelle is a Mortgage Loan Originator at First Financial Bank in Highland and is passionate about fulfilling dreams of home ownership in our local community. 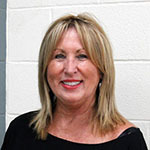 Michelle is active in the community and serves as a Board Member of the HighlandGriffith Chamber of Commerce and as Secretary for Greater Hammond Community Services.